Welcome to h4ck3r.net, my personal website. You can find some information about me and my projects, and you can read some of my articles about programming and tech. You can also subscribe to my blog's RSS feed or follow me on twitter. Are you "Done, and Gets Things Smart"-smart? Get in touch if you want to come work with me, or here's my résumé ( html | pdf ) if you've got an exciting project to work on that would suit my skills. Most of my projects, time, and code go into secret-work-type-things, but when I have time, these are some of the projects I've worked on for fun (in roughly reverse chronological order). Some projects and some small hacks. DropPic is was a really simple way to share mockups and comps for designers. It takes advantage of HTML5 drag-and-drop, so all you have to do is drag files from Explorer/Finder/Nautilus. The backend is Python + Tornado (which I really like). All data other than images in MongoDB, chosen mostly because it seemed nice and easy to set up and use. I started by storing uploaded images in Mongo, but the GridFS drivers weren’t really up to it (at least the ones I looked at). There also wasn’t much benefit to doing so. So, images and thumbnails live on the filesystem directly, and they’re gated via nginx’s X-Accel-Redirect. DropPic is hosted at Linode. The front-end is Closure Library, but not actually very many of their widgets. Closure is a pleasant enough library to use, but I almost wish they didn’t have any docs. I have this cycle where I go to the docs expectantly, get frustrated because they’re written “useless-Doxygen-style”, and then grep the code/demos, and find the answer quickly enough that way. There’s also not a ton of examples (or maybe they’re just hard to google because of Closure’s unfortunate name?) which slows down the ramp-up time a little. I also wrote a custom iPad review interface, using Sencha Touch. It’s separate from the “full” Closure-based UI but uses the same API in the backend of course. Sencha Touch is nice and results in surprisingly snappy UIs. I ran into quite a bit of trouble with the image-heavy gallery browser. The browser was quite crashy, and I wasn’t able to find away (short of page reloads) to free all off-screen image data. As far as I could tell that was due to Safari Mobile and the ridiculous 256meg that the iPad ships with, rather than Sencha Touch though. Funny update: The memory usage bug was one of the first I fixed when I started at Google on the Chrome/WebKit team. Some day it’ll ship in an iOS browser build I geuss. Both compiler approaches have proved promising. I haven’t decided which way is more practical yet. When compared to doing a printf-console application, drawing something on the screen is way too hard in terms of setting libraries up, initializing, etc. Often this is because there’s low-level platform access required for performance reasons. Occasionally though, I would be happy with drawing if I only had enough performance to draw a few hundred to a few thousand polygons. 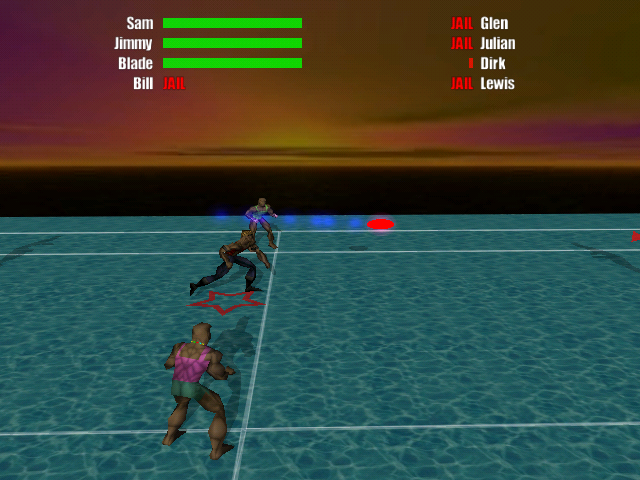 In that case a simple software rasterizer with an OpenGL-ish API and a way to set up a rendering window is all I want. 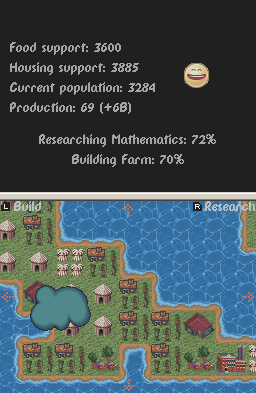 MinGL is an attempt to make that library. In order to make the integration process even smoother, it’s distributed as one C++ .h file with no external dependencies. It’s not done yet, but it’s coming along. The code is on Google Code if you’re interested, and you can read a few posts about progress. My only takeaway here is that a few thousand people use these extensions, and I think that all told, they total about 10 lines of code. “Products” are not defined by how hard they are to accomplish, which is something I consistently forget. EasyTelly was a project I project attacked during my self-styled sabbatical. I went a little crazy and starting doing things like trying to source hardware components while writing a complete Media Center software stack from custom-Linux-kernel up. It was pretty similar to what boxee is now. In retrospect, it was a ridiculously high-competition market to try get into. 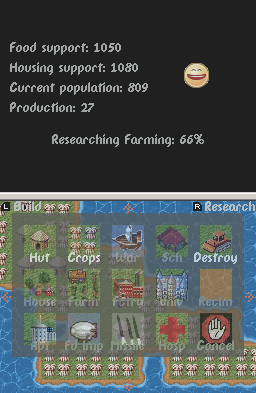 Needless to say, I started to run out of money before I finished that rather ambitious project. I was also very excited about getting in on the ground floor of implementing “C# for consoles” back at EA, so I decided to shelve it and get a job again. 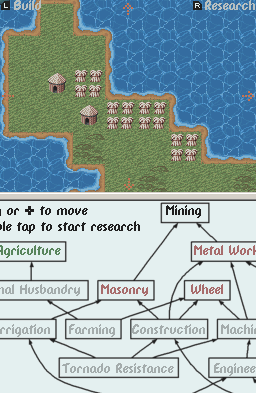 I’ve always enjoyed Civ-style games, and I had the urge to design one around the same time as I got a “homebrew” cart for my Nintendo DS. And so, Twin Isles was born. The homebrew scene for the DS is pretty small, so I still get email surprisingly often about this little game. It even got some enthusiastic reviews. Anyway, you can download the last release (from 2007), but unfortunately my DS card died, so I’m not able to update it. There wasn’t any decent emulators at the time I wrote it, but it seems to work fine on the no$gba emulator (despite the name, no$gba emulates DS also). A number of people have asked about the source, so I pushed it up to Google code. 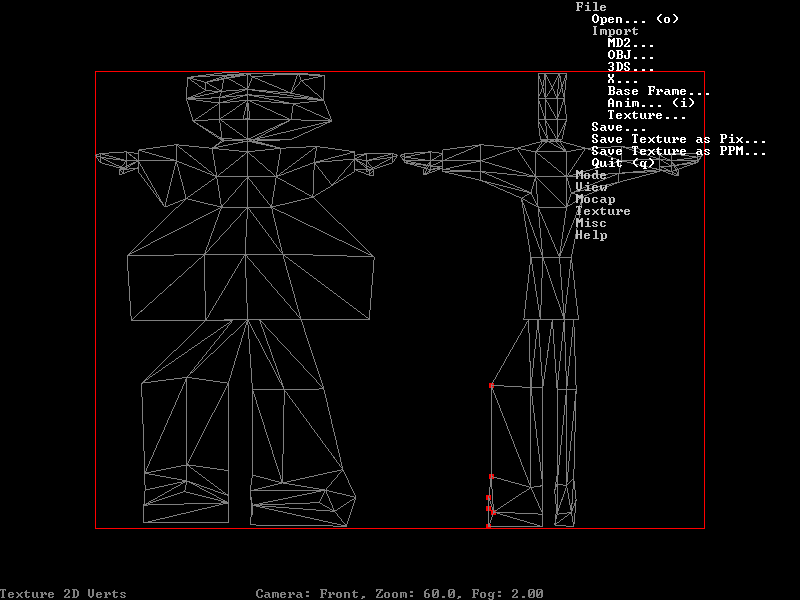 It’s a heckuva mess in the folder that I found (lots of junk lying around, scripts for hacking up art, map editor, etc. ), so you probably won’t get much out of the game as a whole. The code itself looks not-too-embarrassing (in src/arm9/source/) so maybe someone will find something of use in there. 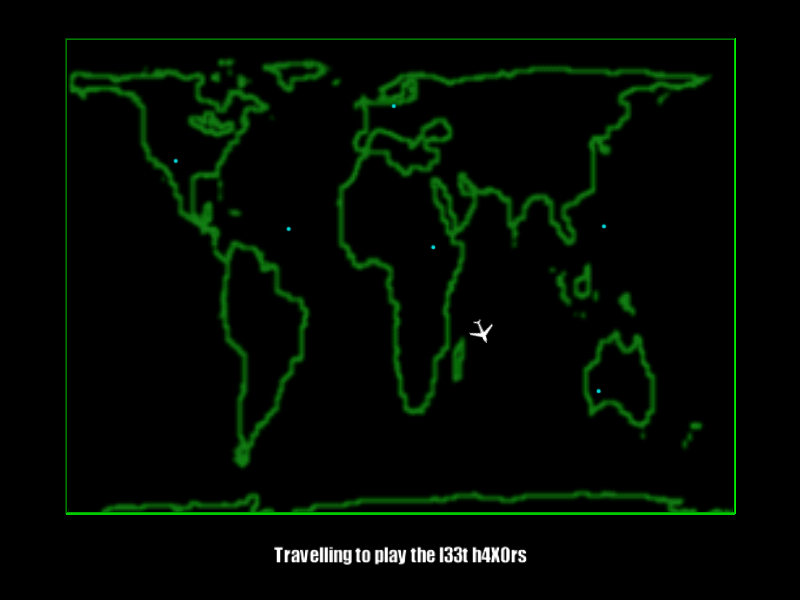 XNA is an excellent way to make games. I’ve been in the “real” game industry for about 12 years now (yikes) and the mountains that some teams have to shove around to get things done often blows my mind (not to mention, tries my patience). XNA is the exact opposite of having to move mountains. 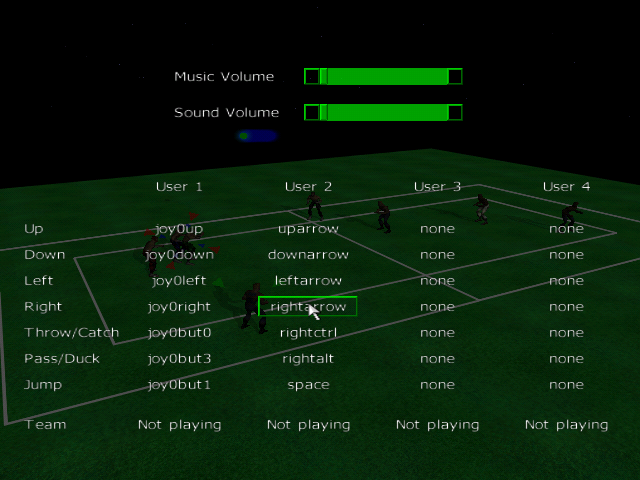 When the first version came out, there wasn’t any easy way to do 2D menus and UI. I thought an interesting project would be to see if I could get enough of a Flash player running on it to handle UI duties. I’d previously written a Flash player back in ~2002 for the PS2, Xbox1, and Gamecube, at EA, though it was in C, assembler, and quite a lot of Perl in the pipeline (Perl was still my go-to language at the time :), and there was a CPAN library that parsed SWF files pretty well). 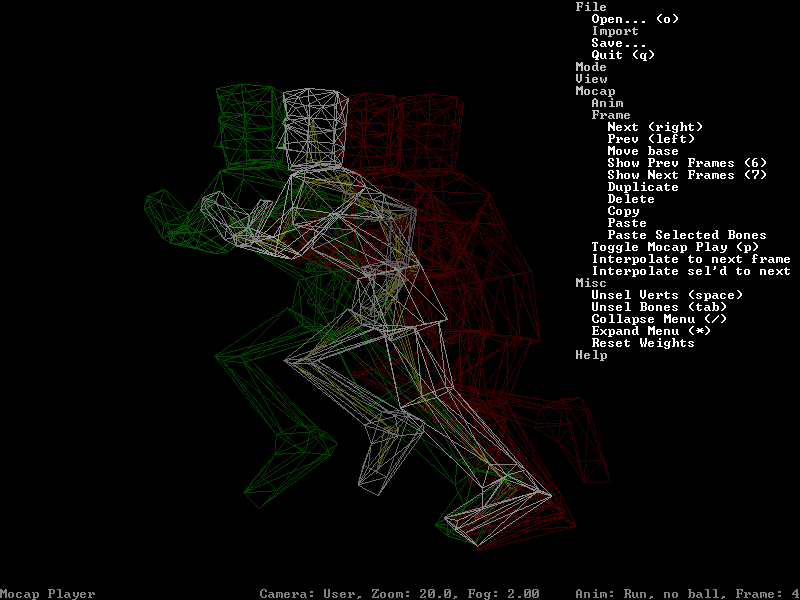 So, I understood the problem fairly well, and I thought doing a Flash player would be a nice way to play with XNA. 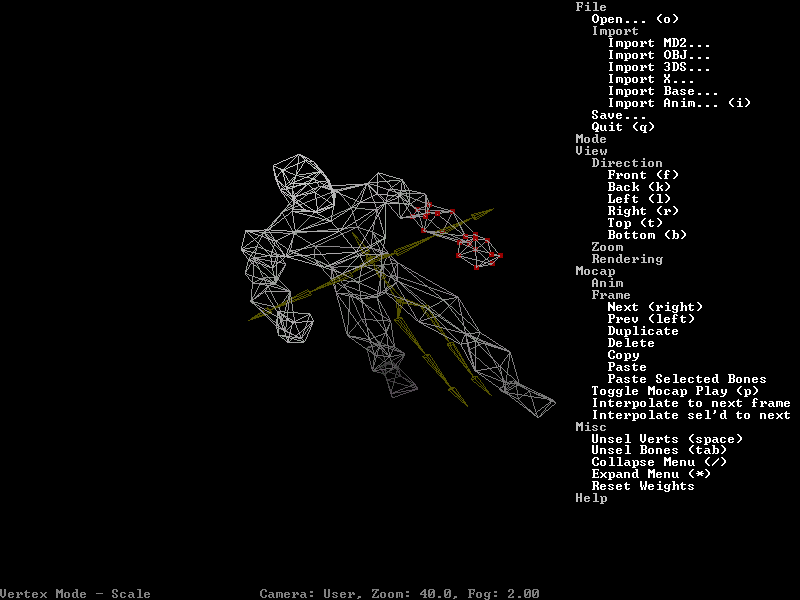 I named it Fluix for “FLash UI in Xna” I think. A couple of the interesting parts of this project where the handling of geometry, and the handling of the script code written in Flash. Google Groups dropped support for files recently, so there’s a copy of files that used to be stored on Groups. The rendering in Flash (at least the version that was out at the time) is very old-school: it’s 2D line loops with edges marked as fill or not, tagged with colours, etc. and all very bit-packed into a strange binary format. This clearly made sense back when Flash was first conceived, but rendering that on modern graphics hardware would be very poor. So, part of the pipeline was to convert this line list and 2D fill information to a set of tesselated geometry and helper textures (for handling things like gradients). It might not sound so complicated, but handling the tesselation of scribbles was tricky business. 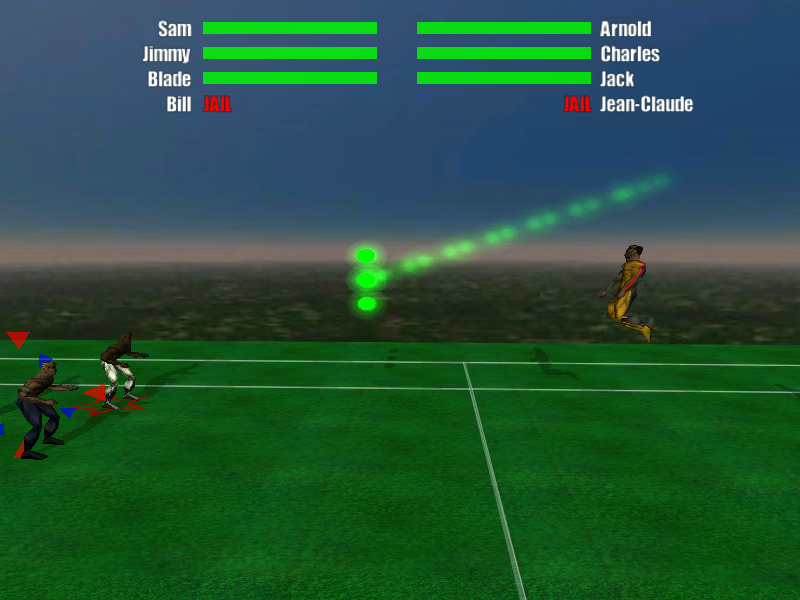 The Flash VM is a custom one designed by Macromedia. The easy way out would to have been to write an interpreter for the VM bytecodes, but since XNA only allows fully safe managed code (and may not have even JITd at the time?) I thought a better approach was a recompiler from Flash VM bytecode to a CIL assembly. It would be faster, and benefit from whatever optimizations the XNA team pushed later in their toolchain too. This process was somewhat involved, as the CLI requires relatively strict information about the state of the stack. For example, when jumping between basic blocks the stack must be guaranteed to have the correct number of elements, and correct type of elements regardless of how it got there, and needs to be verifiable with a quick scan (see my good buddy ECMA-335 for all the details). The Flash VM and compiler is not as strict about how it compiles. Roughly, this involved simulating the Flash stack via a shadow stack and intelligently merging via something like a phi-node (though I didn’t know that’s what they were called at the time). I remember being pretty pleased with myself when I got this recompilation working. I also wrote a Content Pipeline plugin for XNA which is just a plugin for Visual Studio that lets you include assets into the project and handles converting them to their final, in-game format. In this case, it took .SWF files and munged them into textures, sounds, the required geometry, and the runtime CIL assembly, and then packaged that all up into a runtime loadable binary blob. Drop an SWF into the solution, call Load(...) at runtime. No more mountains to shove around. Unfortunately, between XNA1 and XNA2 (or whenever it was that Xbox support got added) the APIs changed, then I got busy at work and didn’t have time to keep it up-to-date. Having the assembly in the binary blob didn’t immediately work on Xbox either, because some or all of the compiler runs on the host side. 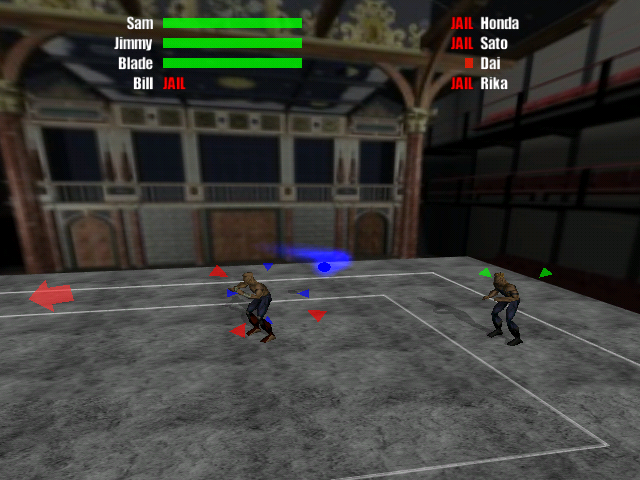 With XNA picking up again on the WinPhone7, I should really get back into it: fun stuff. I’ve hated the PDF browser viewing experience for about as long as it’s existed. Sometime around 2005, browsers, server-side processing, and bandwidth were good enough to avoid the much-loathed plugin. By the end of 2006 I got up enough rage to try to finally solve this problem. Doxica (doxi.ca) was a Google Maps-style view of .pdf, .doc, and .ppt files. It did server-side on-demand conversion of source documents to tiled images. I started with the xpdf code and wrote a lot more code to speed things up, and handle extraction of text, selection regions, links, and so on. At the time I was going to need more processing than I could afford via standard web-hosting so a bought a pair motherboards, CPUs, RAM, hard drives, and power supplies, and mounted it all on a snazzy piece of plywood. I had visions of doing 2U colocation (I can’t get more than ~1Mbps upstream where I live), but I’m not sure if I could have found anyone to put this scary looking thing into their rack. The servers and set up are long gone at this point. The wayback machine has some caches of home pages, but unfortunately it gets only the robot crawler version of the linked-to pages, not the full AJAX version: here’s the first home page it captured, and a slightly revised version. I eventually gave up, partially because I got very busy at work, and partially because I didn’t feel like I could buy the servers and bandwidth it needed. … I still hate Adobe’s crappy reader. I hope someone copies this idea and makes it great. And happily, someone did, though surely unknowingly! I use Google Docs Viewer on a daily basis (along with this) and it’s ever so much more pleasant than that dastardly Adobe plugin. This one’s very old, but I remember it fondly so this entry is mostly personal reminiscing. 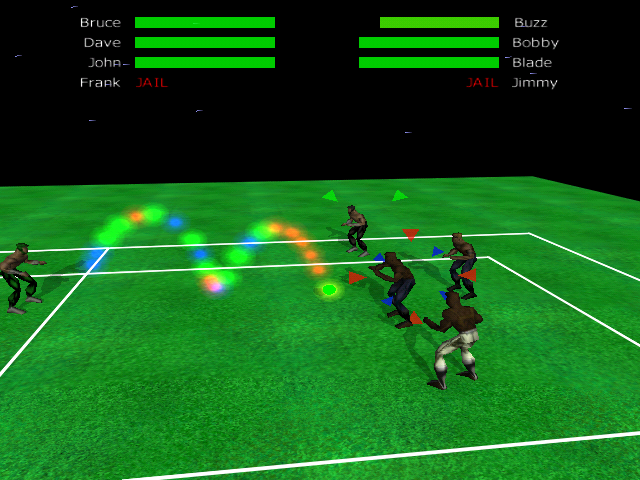 I worked on this during university, starting in 2nd or 3rd year (ca. 1997?) and “shipped” it somewhere between 1998 and 2000; it’s not clear from the files I found while spelunking around on old harddrive backups. 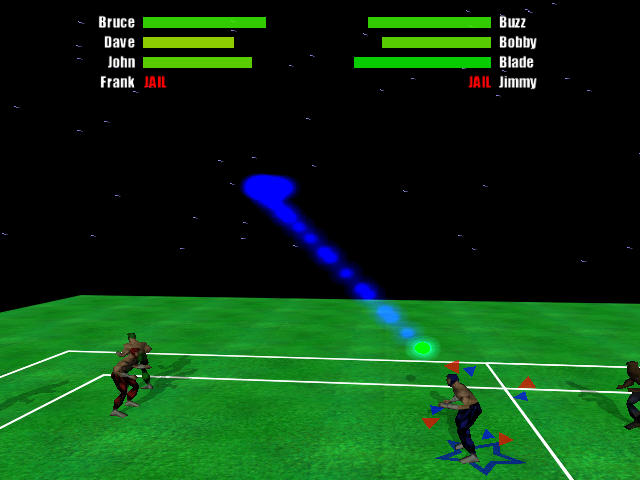 My brother and I were obsessed with an old NES dodgeball game called Super Dodge Ball. Many years later I tried to recreate it in 3D. It was an on-and-off thing where I wrote lots of code (i.e. 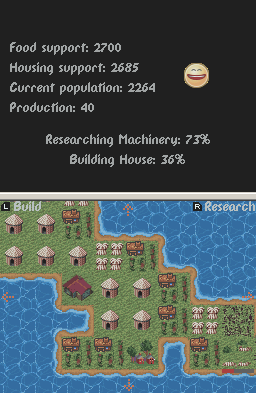 learned various languages and APIs) under the guise of writing this game. This was one version that eventually got to something like completed. 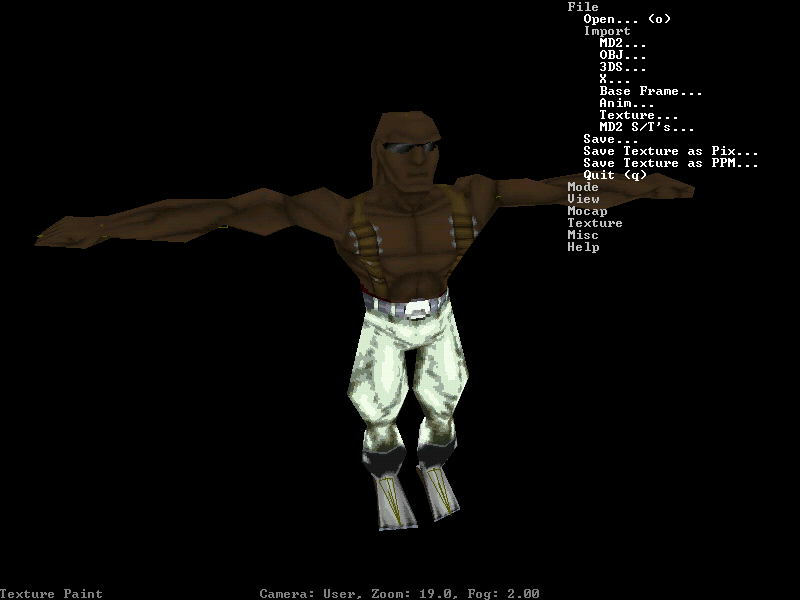 At the time, I didn’t have access to any sort of 3D content creation package like Maya or 3DS Max, so I wrote a 3D modelling package (for some reason, called “Behemoth”) to handle modelling, skinning, and texturing of the players. 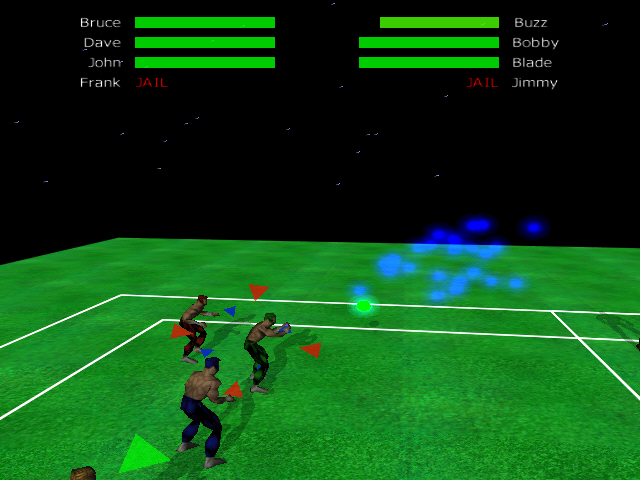 There was also a simple scripting language scripting language to control the AI players and the Street Fighter-like gamepad moves to execute superpower throws. I’ve always hated doing anything manual in UI, so there was a converter to go from from .res (Visual Studio dialog edtior) to generate UI screens. It seemed pretty cool at the time. 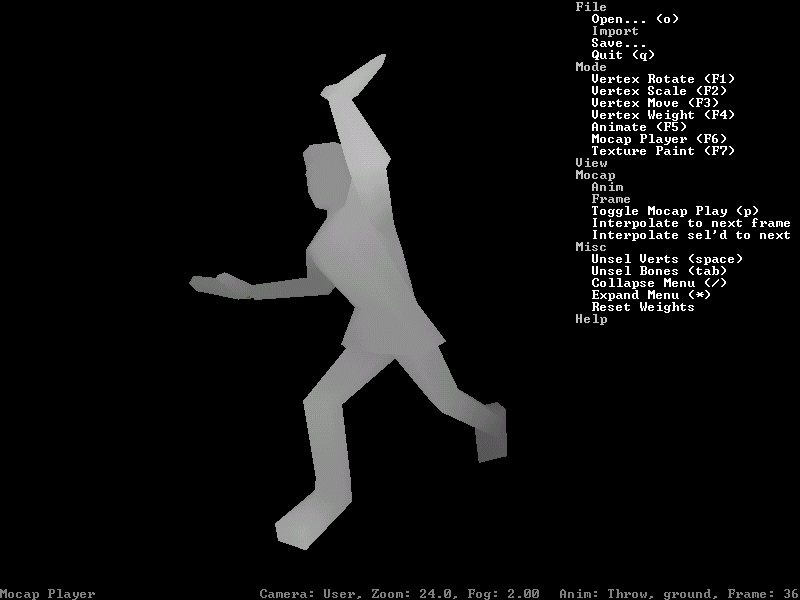 The modelling tool was written against OpenGL, but for reasons I can’t remember (performance?) 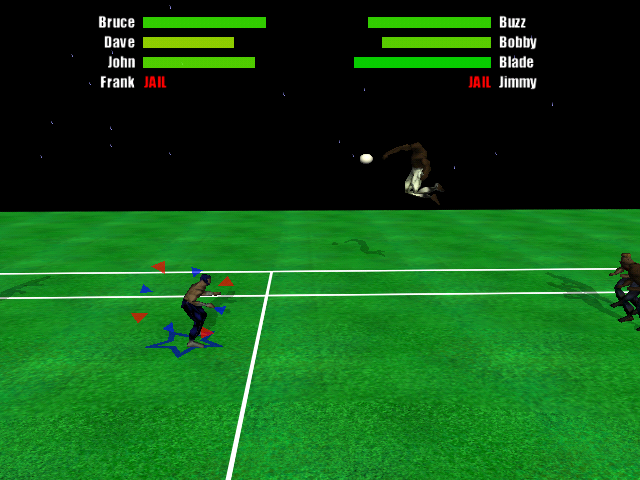 the game was written to the 3Dfx Glide API. It was a slightly lower-level GL-alike. 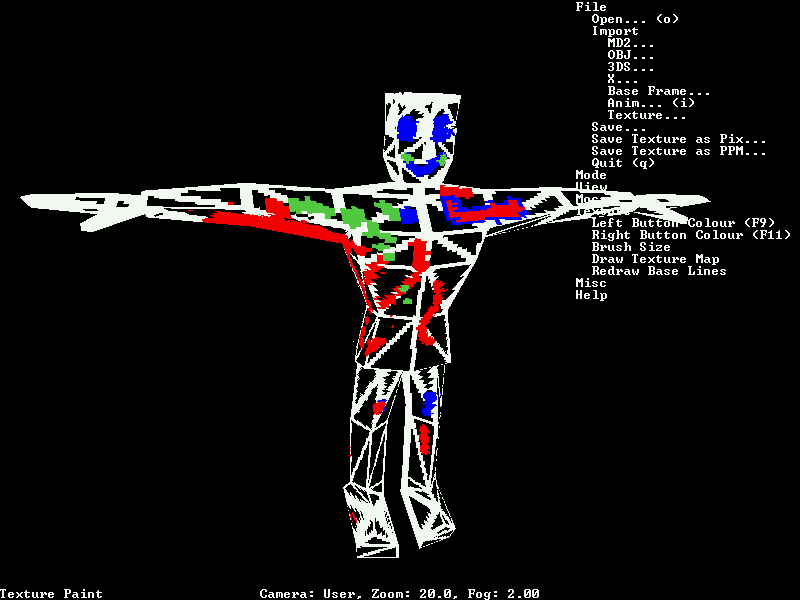 The API is long dead now, but it was very exciting when the first Voodoo 3D accelerator card came out and you could get crazy fast 3D polygon rendering on a regular PC. 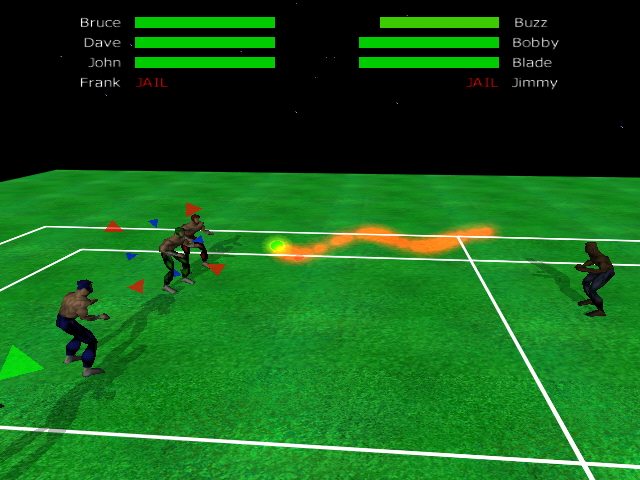 Anyway, some of these are quite ugly, but my modelling, texturing, and animation skills were never a strong suit. 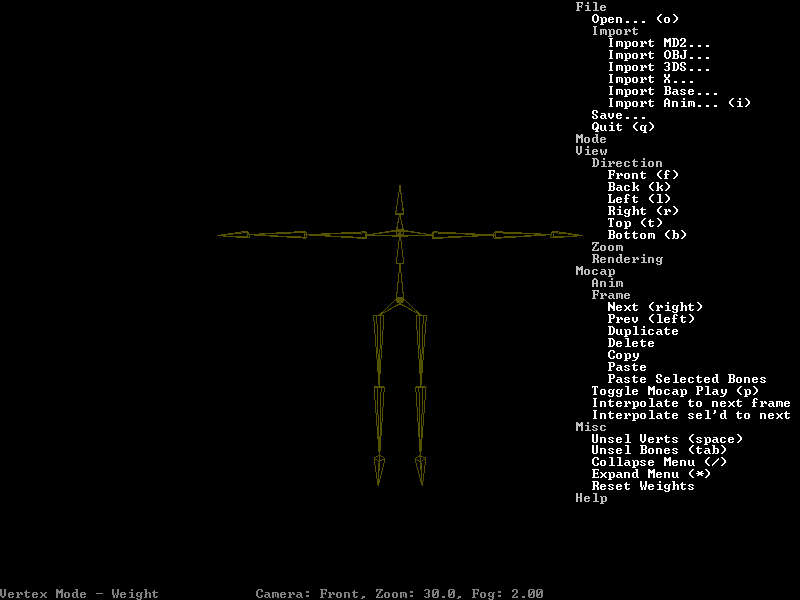 shot0 Just loaded base 20 bone structure that the skin is weighted to. 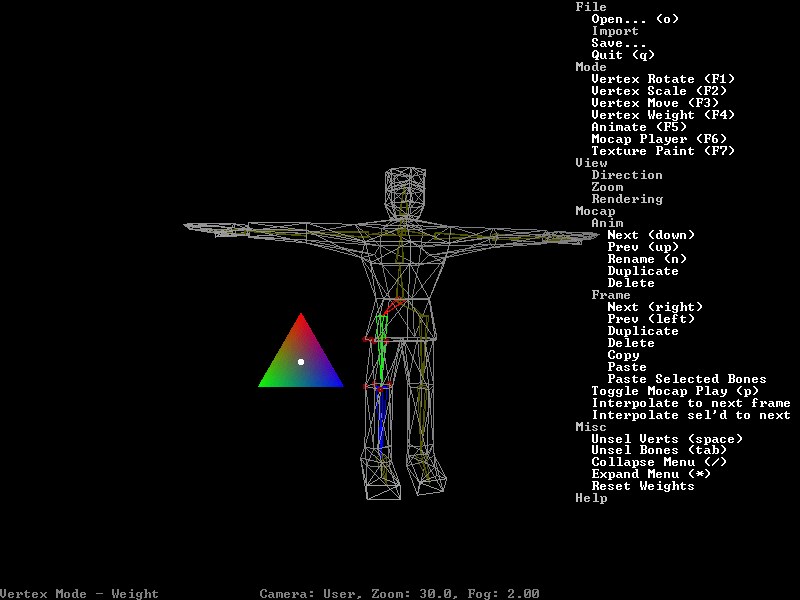 shot2 Showing the interface for weighting vertices to bones. 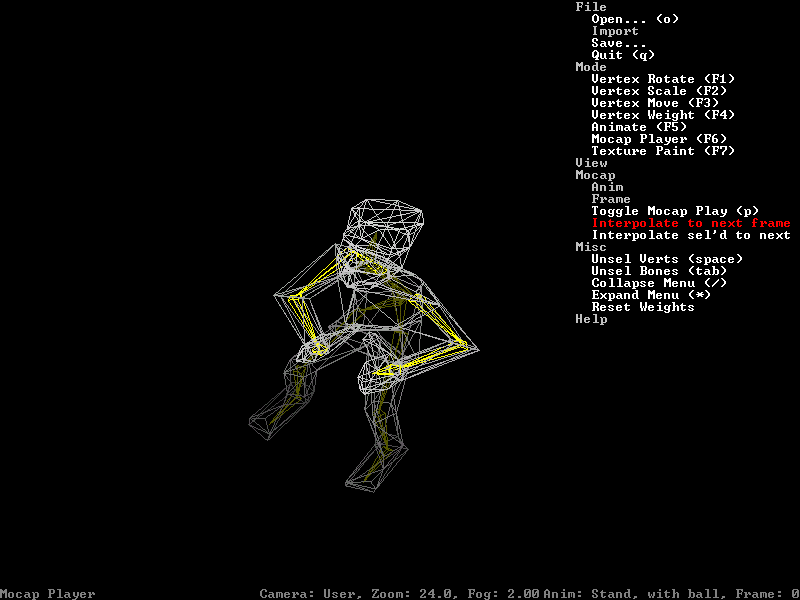 shot3 Playing run animation: forearm and upper right leg are weighted, but the rest of the vertices are unweighted so they stay in the neutral position. 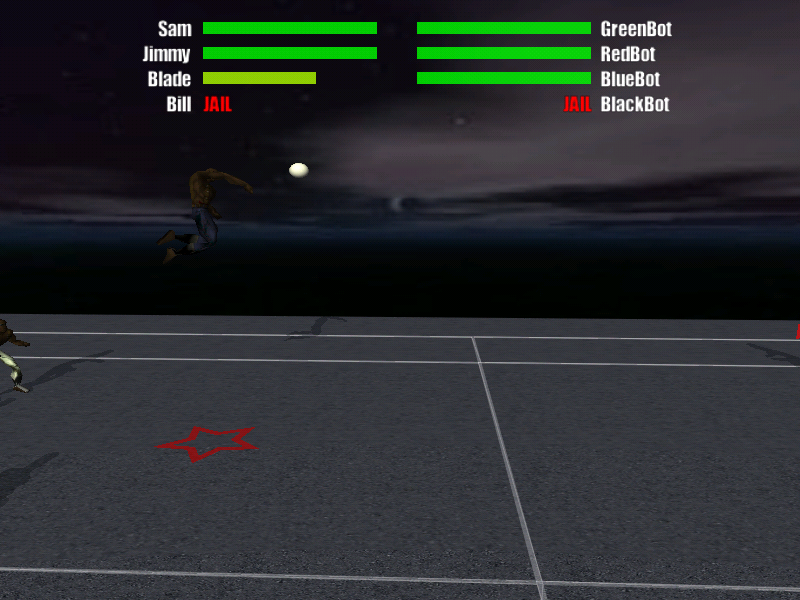 shot4 Shows using animation stuff to convert “Stand” into “Stand with ball”. A bit hard to see what’s going on, but it’s neat. 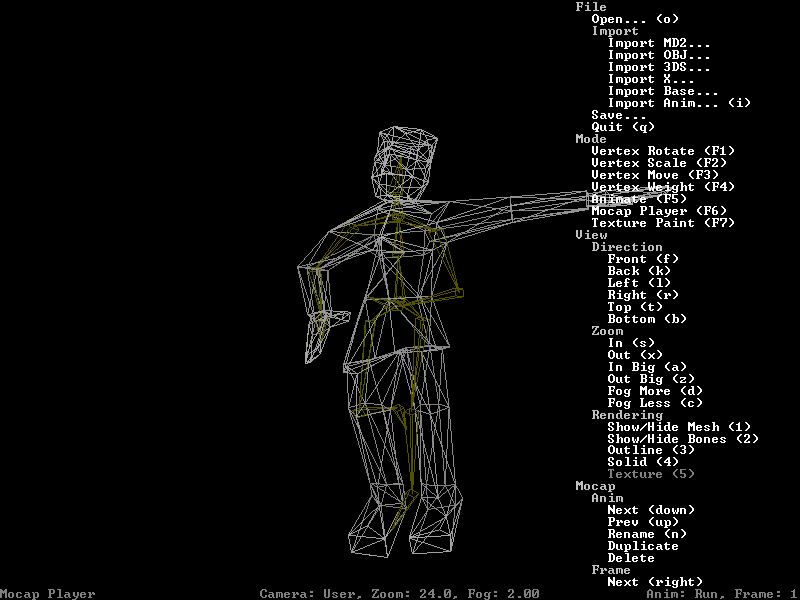 shot8 Scribbling in the 3d texture painter. shot0 One of the super shots; a sine wavy one, kind of hard to catch. The CPU player caught it this time though. shot1 Another ground super shot; a colourful spiral (pretty powerful). That guy’s just about to get pounded. shot2 Here’s another super from the air; it teleports around. shot4 Here’s one of the starting screen in the “World Cup”. 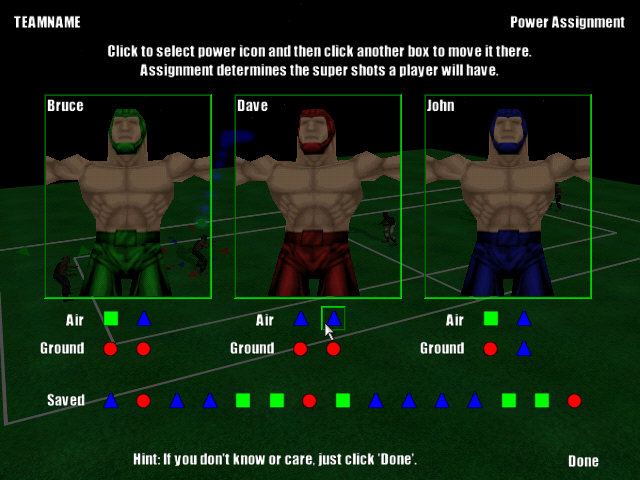 You assign various powers to the players which determines the type of super shots they can do (normally there wouldn’t be a whole bunch in the “Saved” slots, but I’m cheating. shot5 The guy in the air is the CPU.. I just thought it looked cool because of where he got caught in the throw. shot6 A grab of a super shot, it goes to the centre of the court and then accelerates towards the target.